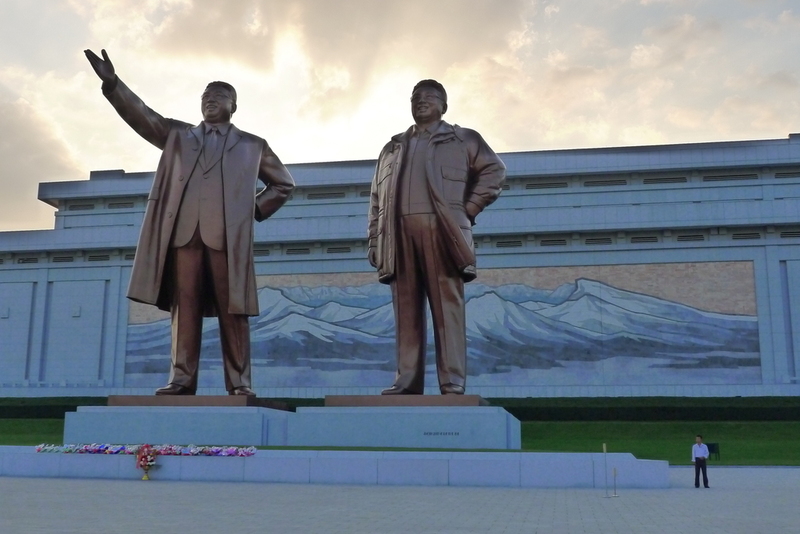 Filmmaker Claude Lanzmann traveled to North Korea three times in all. The first time was in 1958, at the time he was a part of an official delegation sent there by the French government. His colleagues and he stayed in Pyongyang for two weeks, taking in the sights, which consisted of factories, statues and other symbols of cult of the leader worship practiced by North Koreans. Lanzmann’s hoarse, gravelly voice explains how their days was spent and describes Pyongyang as “monumental and empty.” Cue news reels from the Korean War (1950-1953). I hadn’t realized the extent to which North Korea had been destroyed during that war, and the fact that the U.S. had dropped napalm on its inhabitants. 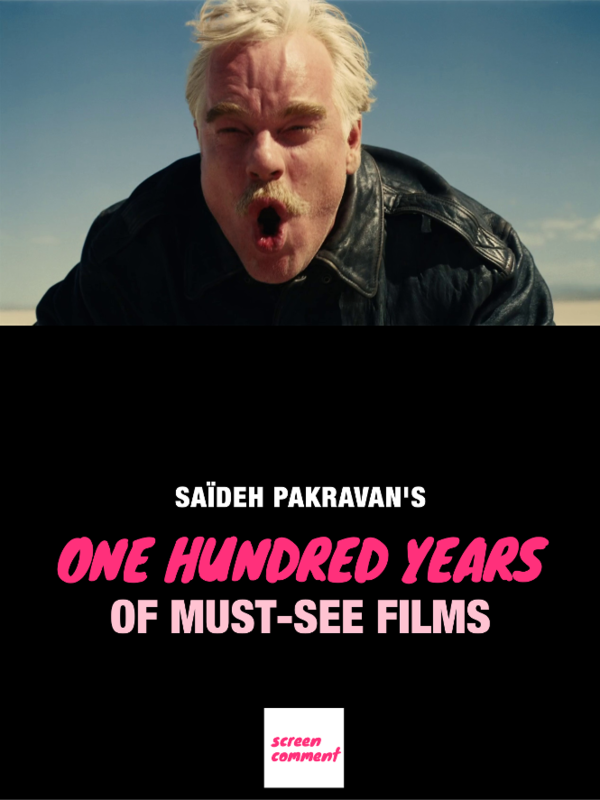 Lots of it: 3.2 million liters, according to Lanzmann. During a more recent visit of the country, the director toured a war memorial museum. The museum guide, a pleasant young woman, shows him various military armaments belonging to the U.S. An engine from a chopper, some rockets. It may be a pretty good haul for the North Koreans and their exaggerated sense of pride, but it pales in comparison to the damage that we, and other allied armies under the U.N. coalition, inflicted on them. But communism had to be contained by any means necessary. 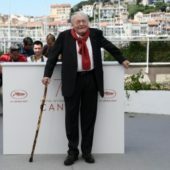 Lanzmann is ninety one years-old and walks with a cane. A Korean man appearing on camera sometimes grabs his hand to help him along. A couple of times, Lanzmann abruptly frees himself and growls. And yet in spite of his old age, this near-centennial figure of French documentary filmmaking, the man behind “Shoah,” still keeps a glint of boyish wonderment in his eyes. He clearly has a soft spot for the North Koreans but it’s without any bitterness that he quotes George W. Bush’s “axis of evil,” phrase, simply saying that it is inaccurate. Besides describing one of the twentieth century’s most atrocious weapon the napalm of the title also describes a black strip of burned skin under the breast of a nurse who Lanzmann met during his first visit to the country. That encounter marked him for life. During the first trip to North Korea, Lanzmann became tired and a doctor prescribed him some B12 shots. A nurse was assigned to him to administer the shots, and came to his hotel room every morning at 8 a.m. Lanzmann became fixated on her, and describes, for nearly the entire second half of “Napalm,” what took place between them, their daily encounters, the common language they slowly created and the battle scar she showed him. “Napalm” is an important film because it helps us touch and feel the scars of history. As an aside, Lanzmann had finally become a father twenty-three years earlier. Sadly, his son Felix died in 2015 after becoming ill with a very aggressive form of cancer. “Napalm” was shown out of competition during the 70th Cannes Festival.